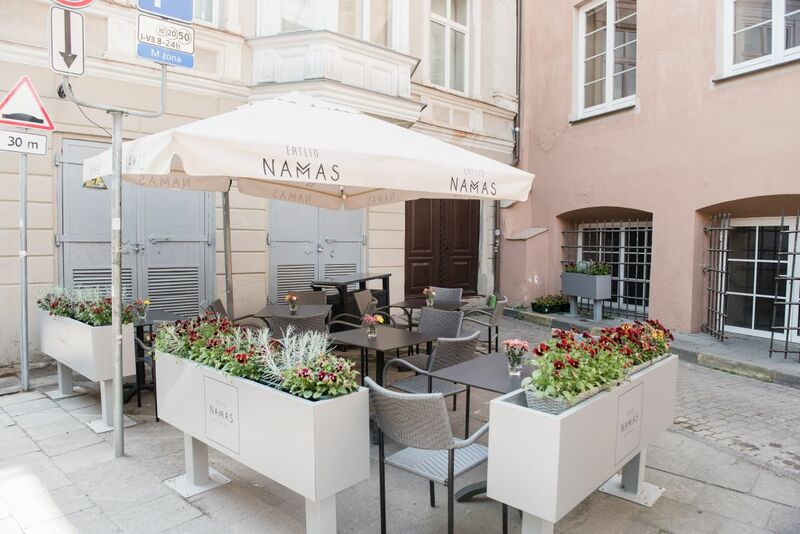 As mentioned earlier, to this day it is the best Italian cuisine restaurant in Lithuania. 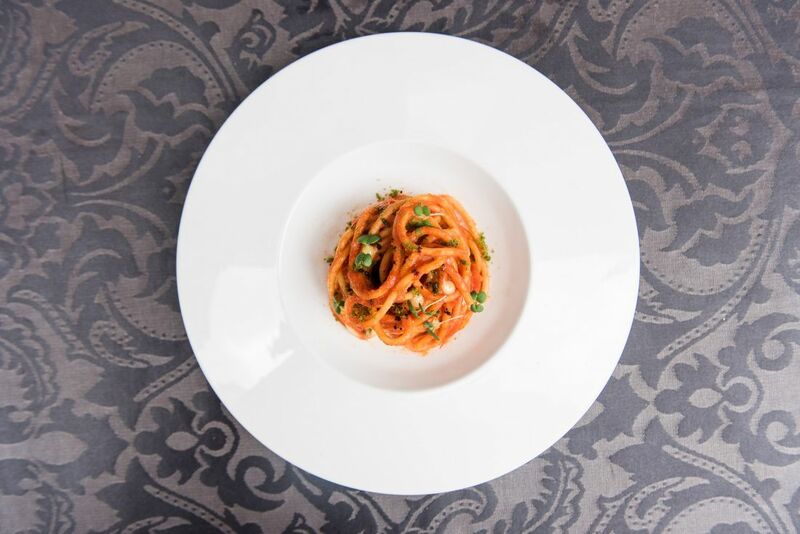 However, it is distinguished by the fact that traditional Italian cuisine is presented here in a modern way. 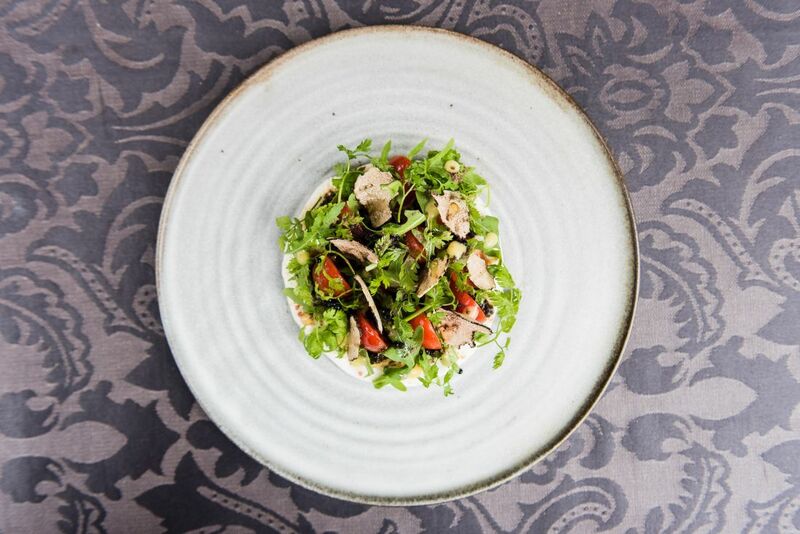 The longtime chef of this restaurant, Dmitry Babenko, has tried a variety of menus, but never switched from Italian cuisine. Now, the restaurant’s menu changes 2-3 times per year and it is quite extensive. As usual in Italian menus, the menu includes a lot of starters, first and second courses, a separate selection of main courses with meat and a wide choice of main courses with fish as well as a separate selection of grilled dishes. While the dessert menu includes as many as eight positions. One of the main desserts is tiramisu prepared according to the special recipe of Da Antonio. Home-made ravioli is a special feature that this restaurant boasts of. It is here that the first home-made raviolis were made in Vilnius. However, even today the restaurant’s kitchen tries to serve them in a special manner, experimenting with their form, fillings and other additions. Raw meat appetizer served with Parmesan cheese and Cipriani sauce (regular visitors order: “the one where the sauce goes in a circle“) – 15 Eur, ravioli with slow-cooked duck, fresh boletus mushroom, smoked scamorza cheese, boletus consome – 15 Eur, spaghettoni pomodoro – 15 Eur, rice with fresh truffles. Dmitrij wanted to become an officer (like many of his relatives) and was preparing for that. 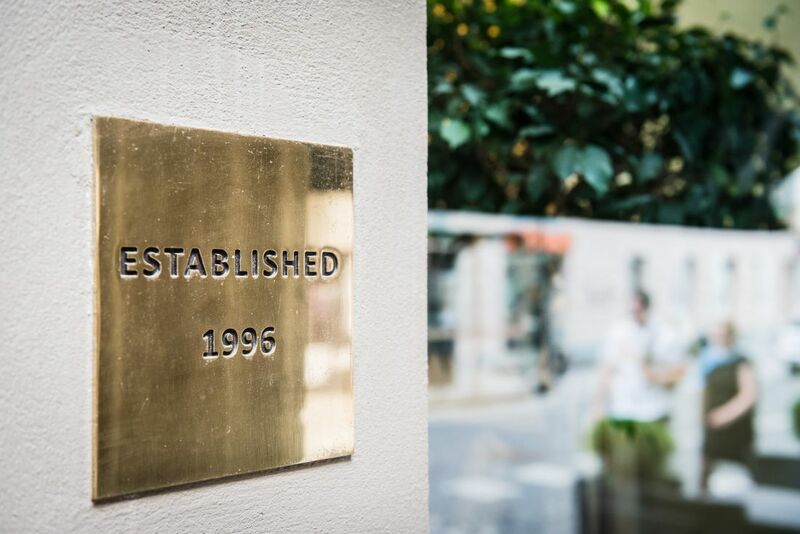 However, after graduating from school and evaluating the rather unstable political situation in Lithuania at that time (1993), he chose rather unexpected path - the culinary studies. For his internship D. Babenko went to Stikliai: „If I started in some kind of a canteen, I probably would not have become a chef, but Stikliai school has helped me to see another level of this profession“. 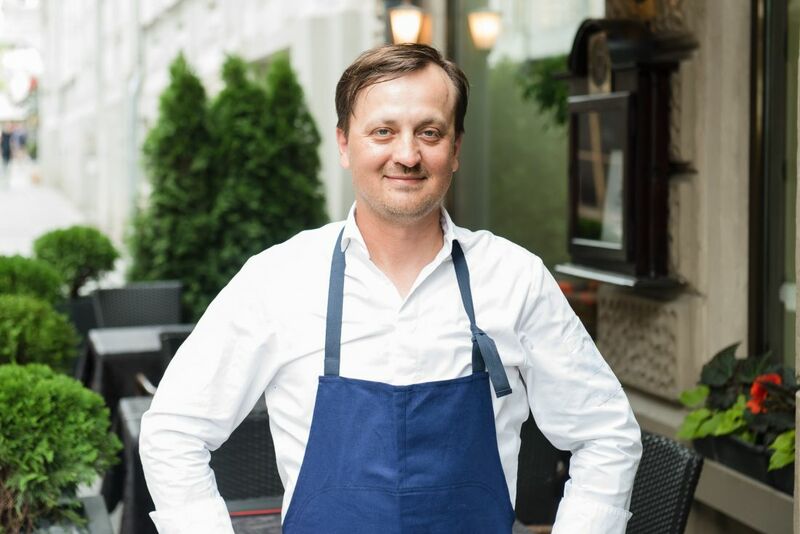 After working in the kitchen with Linas Bražinskas until 1999, Dmitrij started working in one of Antonio Meschino restaurants, where Italian chef worked at that time. 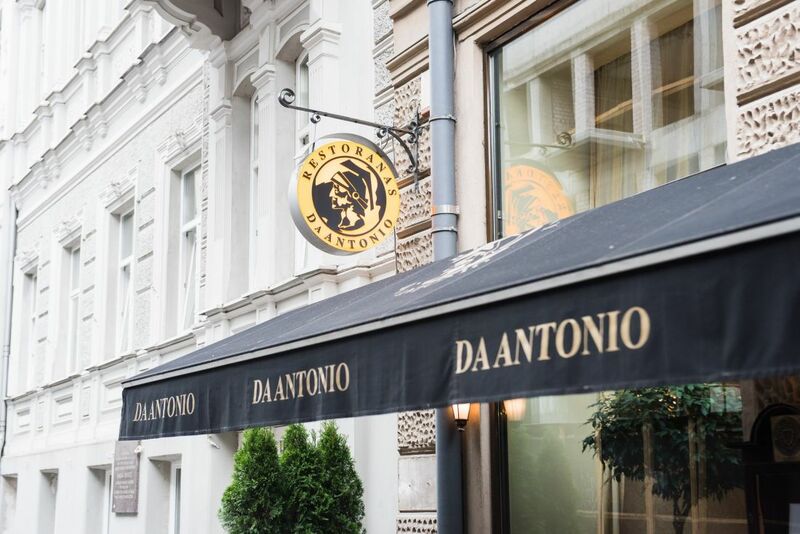 Later, he was replaced by another Italian chef Manfredo Molteni, with whom Dmitrij worked for many years in the tandem, until he finally became the head chef of Da Antonio. Every niche of the restaurant is decorated with reproductions of Italian artists, vases and antique clocks. The entrance of the restaurant stands out by symbolic antique-style columns and fronton.